Handmade. Life on the hedge. Great taste 2015.Everything stems from the rich wildlife in our hedgerows - where we forage for the botanicals that enhance our unique Hedgerow Gin. 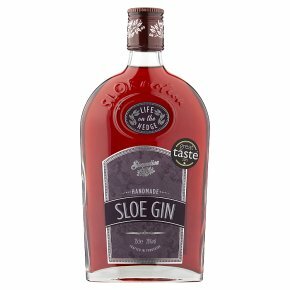 Then, to those subtle flavours of crab apple, nettle, rosehip, elderflower and wildflower meadow hay, we add sloes: the bitter fruit of the blackthorn. We steep them in small batches, until the taste is just right, before bottling the prize-winning liqueur here at Green Farm in Yorkshire.